I’ve felt guilty for abandoning this space for a long time now. 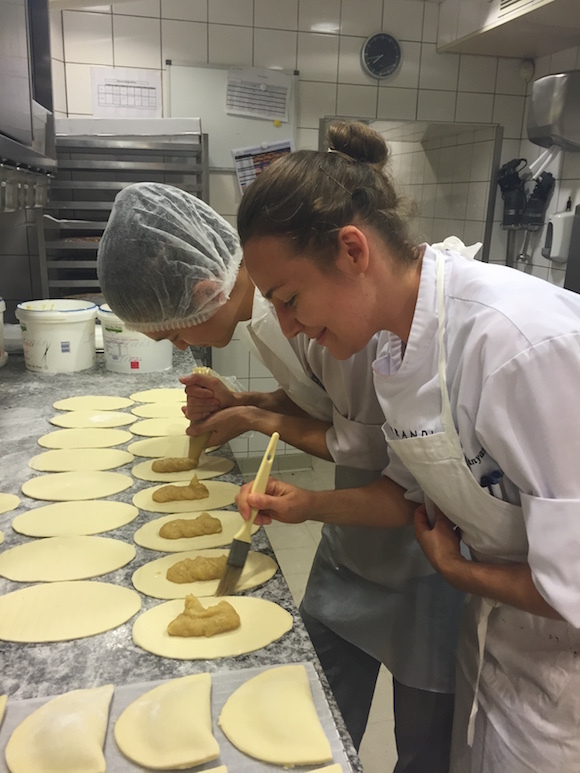 I had the best intentions of keeping up with posts and sharing my journey through pastry school in France. But, along the way, writing about the life I was living became time consuming and started to feel like a chore that was taking time away from having actual experiences. I felt as though I didn’t have the energy to devote to Sweetest Crumb, and if I couldn’t do the blog right then I shouldn’t do it at all. Without making a real decision, I abandoned it. I did finish pastry school at Ferrandi. It was one of the most fulfilling and unforgettable experiences of my life. I cannot stress how waking up every morning and getting to do something you love for 8 hours makes you feel. I relished every moment of school, tried to take away as much as I could, asked nonstop questions and was entirely aware of how lucky I was every single day. People always say to “live in the moment” and this was the one time in my life when I knew I had succeeded in that. After school, I completed two internships in Paris. The first was one of the most challenging and downright traumatic experiences of my life. Nevertheless, it taught me so much about myself and I learned to stand up for myself, saying “no” when something just isn’t right for me. The second was an amazing professional experience which I now look back at fondly. At the end of my first year in Paris, we decided that our hearts had grown too attached to the city to leave just yet – plus I wanted more professional experience under my belt (apron). We applied for a second round of visas and extended our stay for another year. The majority of this year I worked as a commis in a well-known pastry shop in Paris. I felt so lucky to have the job but was flung out of my comfort zone and challenged constantly. I had to work in a language and culture which was still quite foreign to me, often feeling like the outsider. I had to come to terms with being a beginner in a field where almost everyone else was significantly younger, faster and better than me (French pastry chefs usually start their careers at age 14-16 so by their mid 20′s they often have a decade of experience). I worked for minimum wage but for the first time in my life was earning a paycheque doing something I loved. This time strengthened me as a person and as a professional and I wish I could live it all again. As our second visas were coming to an end, we decided that it was the right time to return to Canada. I cannot explain how difficult it was to leave Paris. The city became my home. This was my first adult home, the first place where I truly felt like I was living a life I chose and answering to no one but myself. It was strangely thrilling to live in a bubble away from family and friends: people who had known me for years and developed expectations of who I was and what I would or should do. It was equally thrilling to not have to live up to anyone’s expectations, judgements or deal with seemingly harmless questions like: “why did you leave your financially awesome (but otherwise crappy) career in accounting? (are you crazy? )” “what are you even going to do with pastry after?” “when are you getting married?” “why haven’t you bought a house yet? Or a car? Or had a baby?” etc. etc… Instead, I got to know myself really well. I learned the value of being happy and learned what I need in my life to feel fulfilled. I can now say “no” to something which just doesn’t serve me with no hesitation. I don’t feel the need to follow the same path as everyone else, and I thank Paris for that. Living in Paris, I also got swept up by the energy of the city. 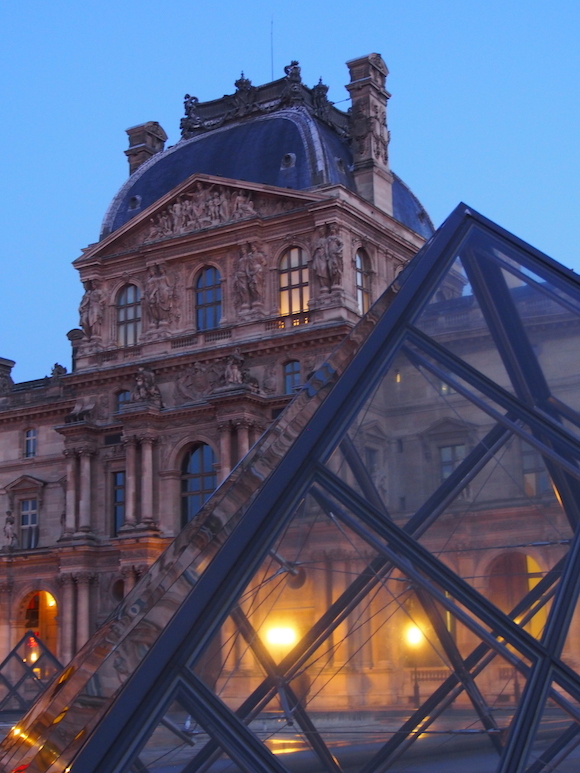 The beauty of the city is inspiring and unforgettable – art and culture are just thrown in your face at every turn. It makes you feel like life is meant to be enjoyed and anything is possible. While I’ve been back in Edmonton as of January, a piece of my heart is still, and forever will be, in Paris. Leaving was heartbreaking. I never knew I could fall in love with a city like this and saying goodbye tore me up like an intense breakup. Even now, months later, emotions feel raw – it is painful to look through photos, think about the sunset rooftop view from our apartment or sitting with other Parisians, feeling the Friday night energy along Canal St Martin. As sad as goodbyes are, I know that me and Paris are meant to be and I will be back – à bientôt, ma chérie.